Since moved to WordPress, I always made my theme yearly. Like another WordPress Themes Developer, I created my own developing environment to custom WordPress design and development. If you want to become a freelance WordPress Themes Developer or just make your own WordPress theme like me, this topic will list the things you need before you start. Before you can start creating a theme, plugin…, you must first install your own local web server that can install WordPress and testing your works. There are a lot of Local Web Server on Windows, Linux, Mac Os. Here is a selection of my favourite packages. XAMPP: It can be run on the multi operating systems: Windows, Linux, Mac OS X and Solaris. It’s package with pre-configured and just install and run. Let’s try it if you are ordinary computer users. WAMP: WampServer installs automatically all you need to start developing web applications and is very intuitive to use. You will be able to tune your server without even touching the setting files. MAMP: The abbreviation “MAMP” stands for: Macintosh, Apache, Mysql and PHP. With just a few mouse-clicks, you can install Apache, PHP and MySQL for Mac OS X! Let’s choose your favorite Local Web Server, so you may have to try them to choose the best. You need a good web browser to view the result of your works and the biggest browsers for working with WordPress themes, plugins … is Firefox and Chrome. After it’s installed, you need install some plugins and add-of to improve the browsers features. 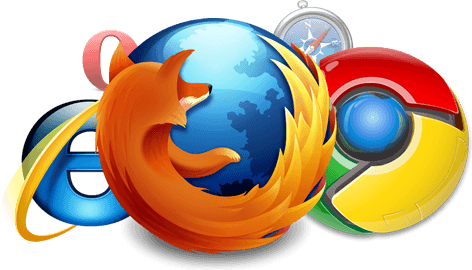 For a more comprehensive list of good Add-ons, see The Essential Firefox Add-ons for Web Designers, Essential Google Chrome Extensions for Web Designers. If you using Mac OS, the Safari browser is good to choice but its lack of some useful add ons. Because Windows is most using operating system on the world for personal using. I recommend you use or install Internet Explorer browser for testing your WordPress theme and make sure it displays correctly. Template Hierarchy: Which template file(s) will WordPress use when it displays a certain type of page? Visit most famous website about WordPress like Smashing Magazine, WPBeginner… to find your inspiration for your design and features. Fix PHP and WordPress errors. Add the following debug setting to your wp-config.php file to see deprecated function calls and other WordPress-related errors: define(‘WP_DEBUG’, true);. Validate HTML and CSS. See Validating a Website. Test in all your target browsers. For example, IE7, IE8, IE9, Safari, Chrome, Opera, and Firefox. Clean up any extraneous comments, debug settings, or TODO items. See Theme Review if you are publicly releasing the Theme by submitting it to the Themes Directory. Made a change to code, realised it was a mistake and wanted to go back? Lost code or had a backup that was too old? Had to maintain multiple versions of a product? Wanted to prove that a particular change broke or fixed some piece of code? Wanted to submit a change (patch) to someone else’s code? Wanted to see how much work is being done (where/when/who)? Wanted to experiment with a new feature without interfering with working code? If you have more than 3 questions with YES, I recommend using a Version Control System like SVN, Git, Bazaar, … Why? You’ve answered it! In this post, I’ve told you some basic steps to make your computer has a WordPress Development Environment without creating a separate installation. It’s not everything but enough for starting. Let’s try it!